Provide comfort for the family of Theo Collier with a meaningful gesture of sympathy. Theo Jane Collier, 93, of East Wenatchee, beloved wife, mother, daughter, amazing grandmother and unconditional friend, passed away at her home on Tuesday, February 26, 2019, following a brief illness. She was born on February 13, 1926 at Melbourne, Arkansas to the late Oscar and Nobie (Daddle) Smith. She was raised and receiver her education in Melbourne. She met and was later married to Prince Ernest Collier on March 29, 1941 in Melbourne. They made a number of moves with her husband’s construction jobs, which included Little Rock and Nob Creek, Arkansas, Sacramento, CA and Missouri, prior to moving to East Wenatchee in 1950. They purchased orchard land and operated their own orchard in East Wenatchee. She went to work at Stan’s Merry Mart and was later offered a partnership, but she turned it down. She retired from Stan’s in the late 1970’s and focused her time on caring for her husband and their orchard operations. 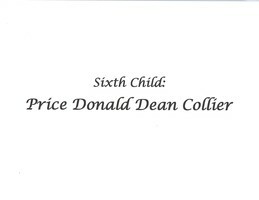 Her husband, Prince Ernest Collier preceded her in death in 1993. She has continued to make her home in East Wenatchee and was the only resident to reside at her home for over 68 years. Her greatest joy was her family and she enjoyed travelling and her roses. She was a very independent and strong person. She is survived by four children, Mary Lou Long, Tacoma, Barbara Sue (Wendel) Robert, Kodak, TN, Diane Gay (Tim) Jonet, and Prince Donald Dean (Irma) Collier, all of East Wenatchee; one brother and sister-in-law, Charles & Frieda Smith, East Wenatchee; 12 grandchildren, 20 great-grandchildren and 4 great-great- grandchildren. She was preceded in death by her husband; her son, Dale Jean Collier; daughter, Lynda VanHoven; grandchildren: Sharon Babst and Robin Long. A Commemoration Service will be held on Saturday, March 2nd at 12 p.m at Heritage Memorial Chapel, 19 Rock Island Road, East Wenatchee, with Chaplain Scott Langager officiating. A Graveside service will be held at Evergreen Memorial Park Cemetery on Monday, March 4th at 1:00 p.m. The Collier family would like to extend a thank you to CWH Hospice nurses for their compassionate care. You are invited to view her tribute online at www.HeritageMemorialChapel.com and leave a memory. Arrangements are in the care of Heritage Memorial Chapel, East Wenatchee. To send flowers in memory of Theo "Jane" Collier, please visit our Heartfelt Sympathies Store. A Graveside Burial will be held at 1:00 pm, on Monday, March 4, 2019, at Evergreen Memorial Park Cemetery, located at 1301 10th Street NE, East Wenatchee, WA. We encourage you to share your most beloved memories of Theo here, so that the family and other loved ones can always see it. You can upload cherished photographs, or share your favorite stories, and can even comment on those shared by others. 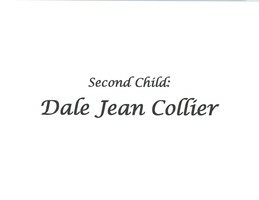 Provide comfort for the family of Theo "Jane" Collier by sending flowers. I fondly remember Jane Collier as a feisty, energetic, industrious, outgoing, caring lady who was the beloved matriarch of her large family. Surprisingly, she didn't live to 100 years as expected. Best wishes to Jane and her family for a life well lived.